The Ninna-ji Temple was originally built in 888 AD by the Emperors Koko and Uda to venerate the Amida Buddha, but was largely destroyed by fire in the 15th century, with most of the present structures built in the 17th century sponsored by the Tokugawa Shogunate. 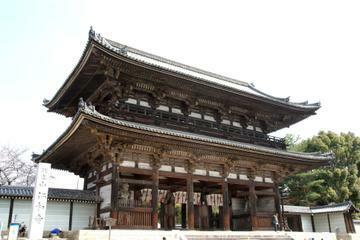 The Ninna-ji Temple was originally built in 888 AD by the Emperors Koko and Uda to venerate the Amida Buddha, but was largely destroyed by fire in the 15th century, with most of the present structures built in the 17th century sponsored by the Tokugawa Shogunate. 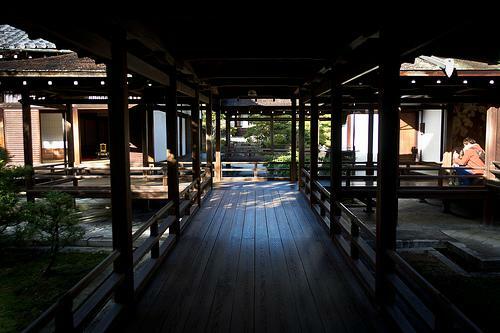 It is the headquarters of the Omuro school of the Shingon Sect and a UNESCO World Heritage Site. 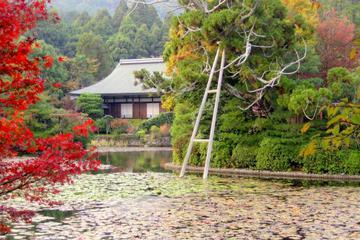 Highlights include the 5-storey pagoda, the plantation of late-blooming dwarf cherry trees, and the painted screen walls inside the palace building.